T he Byrds were a rock group from Los Angeles California. They started recording in the middle of 1964 with members Roger McGuinn, Gene Clark, and David Crosby. In 1957, Roger McGuinn went to ‘The Old Time School of Folk Music’ in Chicago. There, he learned how to play the banjo. He was a sideman for folk groups like ‘The Chad Mitchell Trio’, ‘The Limeliters’, and Judy Collins. Gene Clark was in a different group called The New Christy Minstrels. He only recorded two albums with the group. Clark quit the group in 1964, when he heard the song, ‘She loves you’ by ‘The Beatles’. He moved to Los Angeles where he saw McGuinn performing Beatles songs at the Troubadour. Clark approached McGiunn, and the two started practicing in the stairway at the Troubadour. Both McGuinn and Clark started performing at the Troubadour as a Peter and Gorden like act. They performed traditional folk songs as well as their own songs in the style of the Beatles. David Crosby went to one of their concerts. After the show, Crosby introduced himself to McGuinn and Clark. At the time, Crosby was in a group called Les Baxter’s Balladeers. Believing that a group could be formed, David Crosby brought McGuinn and Clark to World Pacific Recording Studios in Los Angeles. Crosby had already recorded his first solo session at the studio, under the direction of freelance producer Jim Dickson. During the rehearsal session ‘The Jet Set’ as they were called recruited two more members. Michael Clarke would play drums, and Chris Hillman played the bass. The group changed their name to the Byrds on Thanksgiving Day 1964. In August of 1964, Crosby managed to get a copy of Bob Dylan’s ‘Mr. Tambourine Man’ and presented it to the other band members. Initially, they didn’t want to record the song. By changing the tempo of the song, and adding instruments, the group started rehearsing the song. With the writer of the song present in the studio listening, Dylan convinced the band that the song would be a hit. In May of 1965, ‘Mr. Tambourine Man’ went to #1 on the Billboard charts. The recording studio was used to practice. When the group was rehearsing, Crosby got the Byrds a recording contract with Columbia Records. In April of 1965, the Byrds released ‘Mr. Tambourine Man’. The Byrds made a bold move that same year. They did ‘Turn Turn Turn’ Pete Seeger’s tired folk song that came from Ecclesiastes 3 in the Bible, and turned it into a #1 Rock ‘N’ Roll record. By 1966, the band started to have problems. Their producer Terry Melcher came to the studio drunk and was immediately fired. The also lost their songwriter Gene Clark. That same year, the Byrds recorded two psychedelic songs called ‘Eight Miles High’ and ‘5 D’, radio stations wouldn’t play the songs due to their reference to drugs. ‘Eight Miles High’ got as high as #14 on the Billboard charts, while ‘5 D’ only made it to #44. New group members were hired in 1967. Kevin Kelley became the drummer; Gram Parsons became the keyboard player. With the new members, the group started to grow up musically. They recorded a #29 song with Hugh Masekela called ‘So You Want To Be A Rock ‘N Roll Star’. 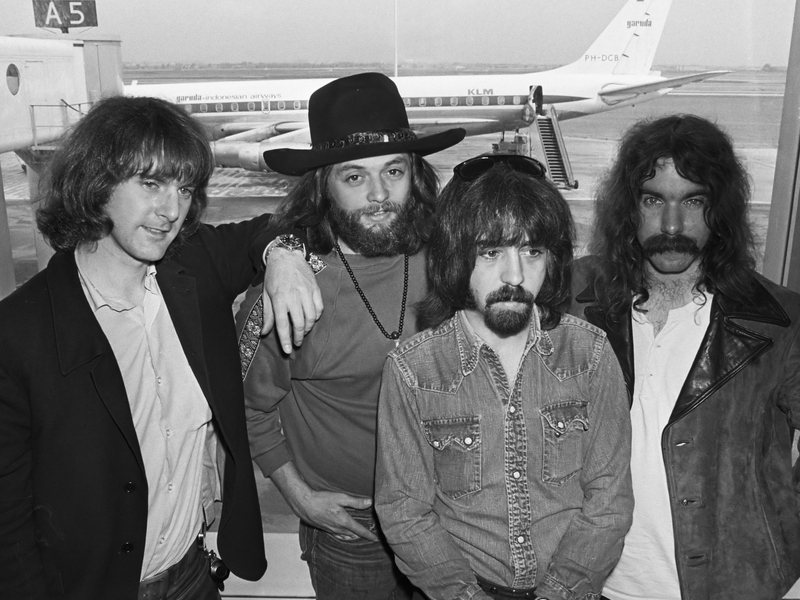 Although new members were recruited, the Byrds died a slow and painful death. That’s the story of The Byrds. Tune in to Cindy’s Vinyl Vault on 980 WCAP Sunday nights at 10, Monday nights at 11, and Wednesday nights at 10. Get your fix of the best music from the 50s 60s and 70s and even make a request at 978-454-4980. Remember it’s not how old it is, but how great it sounds.